The following is a guest post by Ashley Kimler at Heroic Search. Are you paying attention to the romance that your web design has with your social campaigns? Are you doing everything you can to nurture that relationship? Online success is directly dependent your social media marketing efforts (SMM). SMM is the bread and butter of your sales funnel, traffic generation and search engine optimization. Without a social-friendly website design that compliments your well-planned social outreach strategy, you will fail in any niche. Learn why your website wants to hold hands (and maybe more) with SMM. Take your clients' social media marketing into your own hands with our platform! Why is social media optimization critical for your success? Google and other search engines periodically update their algorithms, making information discovery methods increasingly intelligent. Social media shares and engagement become more crucial for search rank as these changes take place over time. The more times a piece of web content is shared on social media, the more potential traffic, search rank and SEO value given to that page. Search engines seem to be able to read the amount of shares, engagement, page bounce rates and more. So, your social media strategy is paramount to the success of your website and your business. If your website isn’t social friendly, the odds of shared posts and pages plummet. You must create a social-friendly website theme and use powerful integration tools (as if you aren’t already doing enough to create great promotional content) to keep up your competition. Responsive social media sharing buttons - to facilitate seamless viewing between mobile and PC, your website and your social sharing buttons should be responsive. Social media page follow buttons - I’ve seen a many business owners get jumbled up thinking that if they have either sharing or follow buttons, they’re all set—you need both. Some people won’t want to sign up for your mailing list, but they’ll want to follow along on Instagram or Twitter. Make it easy for them. Rich pin-ready - If you’re using Pinterest to promote your business, which you should, rich pins will allow you to post article pins, product pins and more, rather than simple image pins. If your current site isn’t setup for rich pins, you will have to adjust the schema markup. Meta descriptions - I have heard and read that meta descriptions aren’t relevant anymore. Without meta descriptions, though, social media sites may not know what text to include with your post and page shares. Featured images - you’ve seen those articles shared on Facebook that don’t include an image. Posts with images are more likely to be shared on social media than those without. Optimize engagement by including featured images on your posts and pages; when you do this, Facebook and other social media sites will automatically pull the image from the post when a link is shared. Facebook comments on posts - you can use whichever comment platform that you want, but you will be fully optimized for social when you choose Facebook commenting. Many commenters’ friends will see that they have commented on your post and those who are curious may travel through your lead funnel to become contacts and eventually clients and customers. 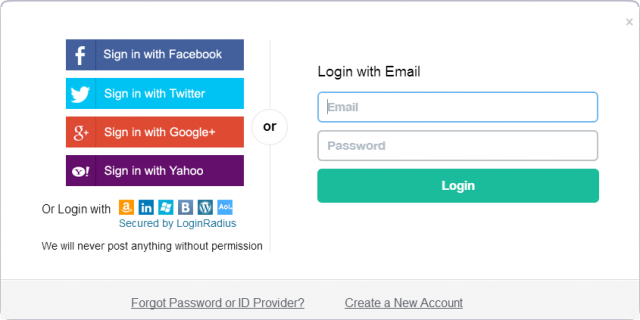 Social media login - if your company structure allows users to register and login on your website (eCommerce, SaaS, etc. ), social media login makes it as simple as possible by letting them share their info with the click of a button. If you aren’t a web developer or SEO specialist, then much of what you just read could be foreign to you. Luckily, technology has made social media integration super simple with the countless tools and content management systems available. Social-ready website themes are setup to allow the latest SMM features—sharing, follow tools, rich pins, featured images, social commenting and login, and more. Make sure you choose a theme hosted on a reliable platform where the coding is updated regularly and social add-ons are easy to install. Your theme should be search engine and social-friendly. Here's a beginners guide on how to create a website. Which design features have the most impact on social success? Obviously, the tools you use to create engagement aren’t the only design elements needed to create killer social media campaigns. 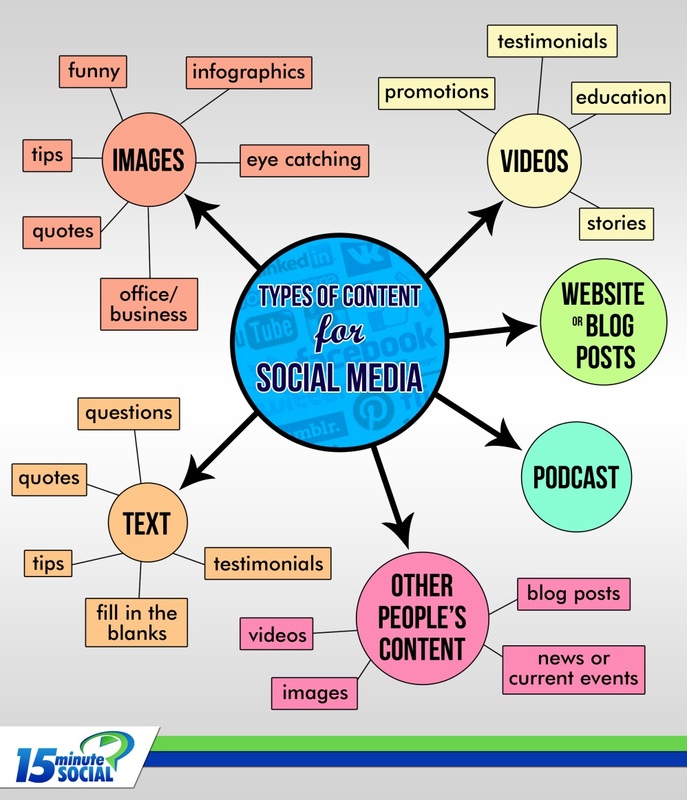 Choose your primary social media promotion platform based on which types of posts are most popular. Let’s briefly touch on each of these platforms and discover which on-page design features will have the most impact on your success. When promoting on Pinterest it’s recommended to use tall (portrait) images and infographics. 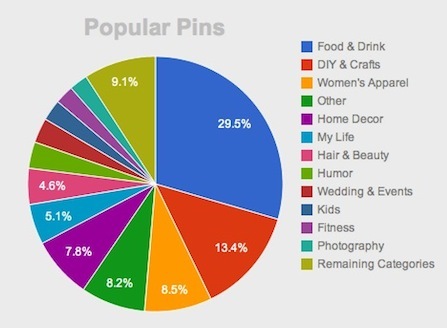 But, which type of pins get the most engagement? If your client is in the food business or one of these other industries, Pinterest is probably the ideal main sharing platform for them. These categories shouldn’t limit your topics to pin on Pinterest, but you might want to spend a little extra energy on this platform if your products and services fall into the above categories. According to Post Planner’s blog, three main types of posts receive “crazy” engagement. Within these post types are subtypes that stand out; here’s what they are. Hint: Place these types of images (featured), and videos in your on-page content and use these types of text in meta descriptions so your pages are optimized for viral sharing on Facebook. When it comes to Twitter, Crazy Egg explained in 2014 that images were more engaging than videos. Even more surprising was the fact that text posts were more popular than images. If you believe this, you might think that you should throw all that visual content marketing advice you’ve heard out the window and just remember to use #popularhashtags with your text post. This post was retweeted nearly 3.5 million times. Which elements make this tweet so effective? It is NOT spam (notice this image isn’t linking to anything Ellen wants to sell). The moment you throw a link into your posts on Twitter, you trigger the spam-filter brain of your Twitter audience. So, only tweet links to content that is highly valuable to your readers. Share images with personal, clever commentary and a hashtag to optimize your tweet. Related reading: How to Hashtag: Is Your Business #Trending? If you want to rock your Instagram strategy, the first question to ask is, “Should I focus more on posting videos or photos?” According to Buffer, images still receive more engagement on this visual platform than videos. This isn’t to say that you shouldn’t post a video from time to time. But, for now, focus on pictures. What kind of pictures should you post on Instagram? It’s probably a better idea to post a picture of you in your office than a stock photo linking to a blog post. If you do want to promote your blog posts and other content on Instagram, use Canva or another photo editing platform to create quote images from text within your website. If Instagram is your central promotional channel, pepper your content with square, branded quote images that readers may want to share. Make sure your social sharing buttons allow the option for Instagram sharing. Include commentary, a link, and (several) hashtags with promotional Instagram posts for optimal impact. Should you use #hashtags beyond your social media posts? When you place hashtags in your meta descriptions on social optimized website pages, search engine snippets and automatically generated social media posts (depending on your website’s schema markups) will show your hashtags. You’ll not only be competing with other business websites, but social media posts as well. Using hashtags effectively gives you a better chance of ranking with search engines. Where can you use hashtags on your website? Research current techniques for applying hashtags to your SEO and try it for yourself. You now know precisely why a social-optimized website with a friendly, up-to-date theme is critical for your success. Use the advice above to skyrocket your conversion rate. As with all content marketing, remember that your ultimate goal is to appeal to your audience. Run frequent tests and pay attention to your analytics to know what kind of content and design strategies work best for your crowd. Please share your social media optimization tips with personal examples in the comments below. Ashley Kimler currently works with the superstar team at Heroic Search in Tulsa as a content marketing (sorceress) writer. She is certified in New Media Communications, Inbound Marketing, and SEO 2.0, and has a decade of hands-on experience with online business promotions. If you are interested in her future adventures, follow @ashleykimler on Twitter.